Thoughts from Brahma Kumaris: To be a well wisher means to think of changing first. To be a well wisher means to think of changing first. 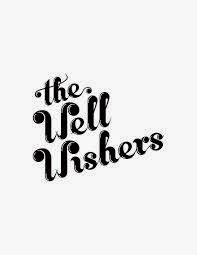 Projection: Being a well wisher just doesn't mean wishing others well. It also means having good wishes for the self and having the pure desire to bring about a change for the better in the self. So whatever the kind of situations, instead of just judging others and what they need to change, the one who is a well-wisher constantly brings about transformation in the self. Solution: For having worked on myself under all circumstances and having used every situation as a chance for self-progress, I constantly enjoy every thing that comes my way. I have no expectations, but just think of benefit for others and myself. I then never find any situation to be an obstacle, but use it as a step for progress. To act from a state of truth, it is important to realize the relationship between my intellect and conscience and what role these two play in experiencing this state of truth in my thoughts, words and actions. The quality of my thoughts, words and actions is based on the quality of my intellect and conscience.There are three different stages of the intellect conscience relationship. * The first stage is one in which my conscience and my intellect, both are so pure and transparent that whatever is right and true is naturally brought into my thoughts, words and actions and nothing negative or impure manages to enter into my thoughts, words and actions. * The second stage is one in which my conscience acknowledges that which is the truth, but the intellect does not have the strength to be able to bring the truth into practical. The conscience tells me one thing, but my intellect pulls me elsewhere, and it overpowers me. I do what I know I shouldn’t. * The third stage is one in which my conscience is not clean enough or aware enough to acknowledge the truth so the question of it influencing the intellect to bring the truth into practical does not arise. As a result my intellect, which is not at all backed by the conscience in this state, takes complete control of me. I do what I shouldn’t and I am not even aware of it. When my intellect overpowers my conscience repeatedly, my conscience loses its influence on my intellect. As a result the conscience keeps weakening until its voice is stifled or silenced. As a result of that, I can then no longer discriminate between truth and falsehood. I will feel that there are no fixed ways of defining right and wrong, that each has their own judgment or definition of truth and falsehood. True spiritual knowledge, which gets stored in the intellect, and the experience of meditation, which purifies the intellect as well as my conscience, both together, make me aware of the definition as well as give me an experience of what is the truth and what is false, what is right and what is wrong. As a result of that, I am able to maintain the first stage of the intellect conscience relationship very easily in my day-to-day actions. Obedience takes one towards the right direction.